“Totally Disgusted” weighs in on Airbnb rentals in the Grove. 4. Mr. Totally Disgusted asks the Township to fine and raise the taxes of those landlords who are engaged in “rental abuse” and causing a “downward spiral” in town. I followed the link to the Air B&B page and found a nice place near where I used to live in the mountains region, ironically called “Above the Law”. Who knew? I mean, I thought OG had a beautiful boardwalk and beach and (dwindling) quaint shoppes, and historic architecture and all but I guess that isn’t the hip trend. 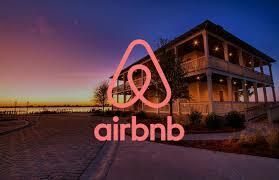 Let’s add to the discussion why, right now, more homeowners are turning to Airbnb. Could it be out of necessity to pay our exorbitant taxes? You can’t blame someone for trying to hold on to their home. And if this is the reason, whose fault is it that we are becoming a more transient Jersey Shore beach town? One of those landlords had 96 reviews, another has 86. This is probably a partial reflection of their total rental history, because many people will not bother to leave a review. These property owners are making big business of this, while sidestepping the town’s regulations regarding rentals. If you rented out your house 100+ times, you are running a hotel, not a home. Snafu. I have been complaining about how the media (including those who write advertising copy) are inaccurately portraying Ocean Grove, and now, as you point out, we see a distinctly new trend which is to define the Grove by its proximity to A. Park. The only way to correct that is for the people of Ocean Grove to reclaim their Master Plan and set us on the course of becoming the special community/historic place that it can be. But the apathy is awesome, coupled with the indifference of the residents, Home Groaners, Chamber of Commerce, Historical Society, developers and mostly the Neptune Township government. So don’t be surprised if we become just a town where Asbury tourists can park their cars and spend the night, without a sidelong glance at the Grove. As for Airbnb, making money from one’s real estate investment is the American way, but our laws must be enforced. Don’t forget that OG has a long history of rental properties in the form of boarding houses, hotels, rental homes/apartments, and more recently condos for rent. This is a situation where the laws have not kept pace with technology. Local governments are playing catch up with the hordes of owners renting their homes on these websites. Yes, some owners are merely trying to earn a few dollars here and there. Others are actually purchasing properties with SOLE objective of using them for this type of short term vacation rental. In my opinion the latter fundamentally change the nature of residential neighborhoods and generally not for the better. Some local governments have passed rules requiring owners to be in residence on site during these rentals while others have limited the number of rental nights per year and require a license and a safety inspection. I feel sorry for owner occupied properties who essentially now find that they are living next to hotels or rooming houses, something they never counted on. These Airbnb properties are likely not being inspected by the local authorities for working smoke detectors, carbon monoxide detectors, egress in case of emergency etc. The owners of these properties may or may not be paying Federal and State income tax on their earnings or collecting and remitting local hotel taxes. In case of emergency, would the landlords even know the numbers of occupants and their names? Owners of these short term rental properties may find themselves in a bind if a renter is injured on their property and attempts to collect a settlement from their insurer or sues them. Unless they made their insurance company aware of their short term rental business and their policy was rated accordingly, they may very well find that normal homeowner policies will not provide coverage. Short term rentals have been the scourge on my block. Tiny houses crammed with 6-8 individuals crammed into tiny, apartments or homes complete with noise to all hours and lots of cars. My husband and I dread every for sale sign as the usual progression of the signs are for sale, sold and then for rent. This trend has totally ruined the quality of life here.